Elysian Labs Stra’Nilla delivers a savory buttery vanilla cake flavor. It is topped off with fluffy whipped cream and sweet strawberry topping. Sweet and creamy! Want to get to a dessert paradise? Get a bottle of Stra’Nilla e-juice created by Elysian Labs brand especially for dessert flavor connoisseurs. Elysian Labs Stra’Nilla delivers a savory buttery vanilla cake flavor. It is topped off with fluffy whipped cream and sweet strawberry topping. Sweet and creamy! For the best dessert flavor vaping experience. 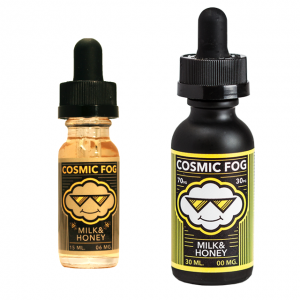 Large clouds are also guaranteed because this e-juice comes with a 70/30 VG/PG ratio. This delicious cake flavor you can enjoy with different nicotine concentrations. There are 0mg, 3mg, and 6mg options. The bottle capacity is 60ml. In short, Stra’Nilla e-liquid by Elysian Labs is a must-try for dessert flavor fans!